Hawaii Life vacation rentals presents the Reserve Collection at the Honua Kai Resort - Konea 604 vacation residence. This NEWLY EQUIPPED 2 bedroom, 2 bath, 1250 ft2 condominium home offers a stunning panorama of contrasting mountain and ocean views. 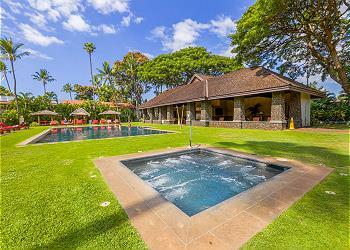 Hawaii Life Vacations presents our NEWEST addition to our select "Hotel Collection" portfolio. Wailea Beach Villas | PH 206 is Barefoot Luxury at its finest! This 2 Bd/2 Ba 2000 Sq Ft 2nd floor Penthouse offers spectacular garden and partial ocean views. This 3 bedroom villa is located on the 2nd Fairway of the Old Blue Course, and offers lovely views of the golf course, ocean, and beautiful landscapes from the large wrap-around lanai. 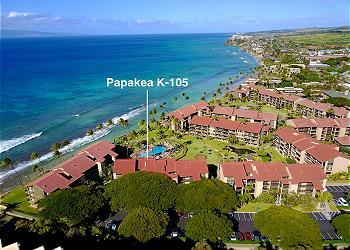 Many units at Ka’anapali Shores Resort claim to be ocean front. None are as close to the ocean as ground-floor Unit 161! 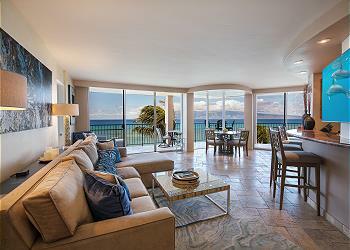 The only things separating you from Ka’anapali Beach are floor to ceiling windows! 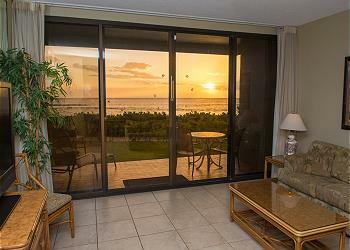 Hawaii Life vacation rentals presents the Reserve Collection at the Honua Kai Resort - Hokulani 833 vacation residence. This NEWLY UPDATED 700 ft2 studio condominium home offers a romantic panorama of ocean views and luxury amenities.